Happy Christmas Eve Boozecats and kittens! 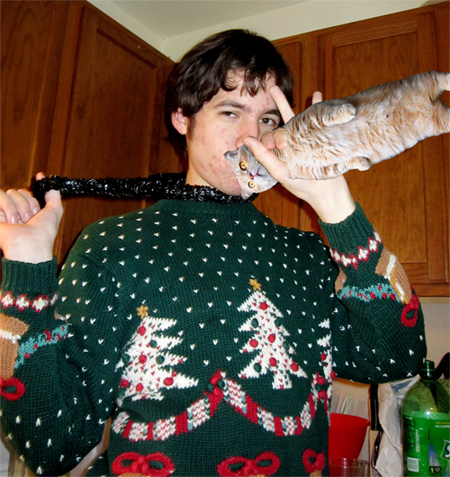 This guy is wearing a festive sweater and playing a Boozecat like a flute. I hope he's playing a good song like "Winter Wonderland" and nothing crappy like that dumb Paul McCartney song.